How do you manage your emotions and your sensitivities while raising your super intense super smart children? How do you raise your children without unconsciously repeating the patterns set down by your own parents? I’m guessing that you think about this a lot. Especially at 3am when you’re desperately trying to sleep. Or when you hear your mother’s criticism spewing out of your own mouth directed at your 4-year-old. Or when you notice your father’s rage lurking behind your eyes. Living with rainforest-minded kids when you yourself have those same traits can be overwhelming and even a tad frightening. All of that energy and sensitivity roiling around. All of your kids’ questions, curiosities and meltdowns flying hither and thither. Not to mention the less-than-ideal parenting you may have received. Or the judgment from other parents who think you have it easy. Or the judgment from yourself that you aren’t the perfect parent. That’s a lot to handle. Let me give you a hug right now. For starters. You are not alone. This is not easy. Hug. There’s a lot of empathy for you online from parents who are right there with you. You can read their experiences, guidance and resources here and here. Read a sampling of their blogs and bookmark your favorites. There’s also a psychologist online who has raised gifted kids. Find her blog here. Make a list of ways to soothe yourself, to relax, and to find nourishment. Then DO THEM. Your kids will benefit. You know this but you still don’t do it. Am I right? 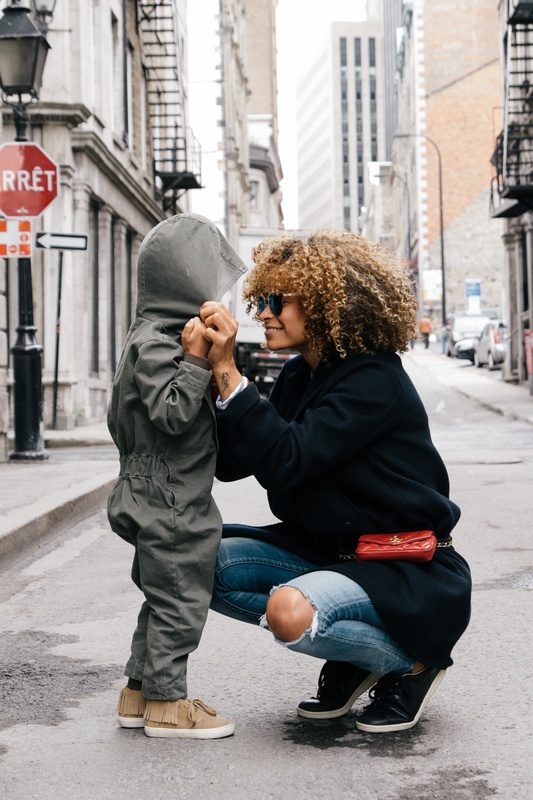 Remind yourself that your self-care will be good modeling for your kids. When you feel guilty, tell yourself that you’re doing it for your them. When you lose your cool, which you will, apologize. Your children will not be damaged irrevocably when you blow it. The apology allows your children to see that they don’t have to be perfect and that they can apologize when they’re not perfect. Imagine how your life would be different if your parents had apologized to you for their mistakes. When it comes to not repeating the patterns of your parents, well, it’s complicated. And depending on how dysfunctional things were, it can feel overwhelming or impossible. As you can imagine, there’s no quick fix. But you can change the patterns. You probably already have to some extent. Of course, you know I’m going to recommend good therapy if you were raised with any kind of abuse. That said, there are many creative self-help tools for you to explore. 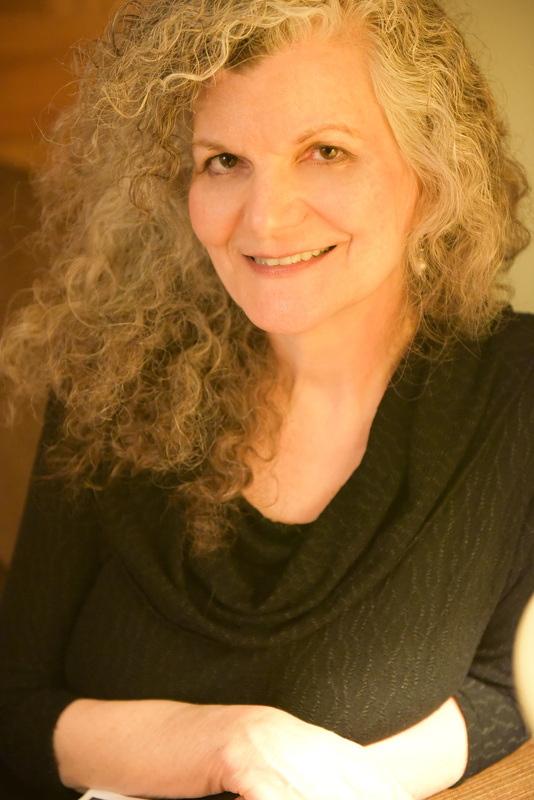 Some are: Seena Frost’s Soul Collage, journaling, yoga and other body therapies, mindfulness techniques, making art/ playing music, spiritual practices, and treks into nature. To get coaching support for your giftedness and to find like-minded adults, join this growing international community. And, finally, read my book! 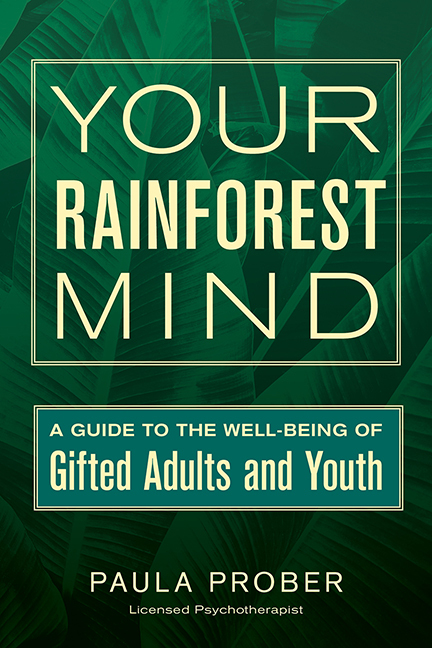 Your Rainforest Mind: A Guide to the Well-Being of Gifted Adults and Youth to be released mid-June 2016. Along with untangling the complexities of the rainforest mind, I describe client cases from my counseling practice and explain how we addressed both their childhood issues and their giftedness. There are many self-help strategies and resources included. Buy copies for your therapist, relatives, kids, teachers, neighbors, physician, ex-partner, mail carrier and anyone else who might need help understanding you. To my dear bloggEEs: Let us know about your parenting challenges and successes. What resources would you suggest to help with parenting and with breaking patterns from childhood trauma? And thank you, as always, for reading, commenting and sharing. Tags: counseling, gifted adults, gifted children, intelligence, Intensity, mental health, parenting, psychotherapy, rainforest mind | Permalink. Great advice, Paula. Learned some things in terms of resources, too. Looking forward to your book coming out! Thanks, Gail. I’m hoping that psychotherapists will find my book and that their gifted clients will benefit. thanks so much for this awesome post. It felt good to read this and feel understood. I especially loved the HUG. I NEEDED it! THANK YOU! Happy to give you the hug, Monika. And thank you for reading and commenting. Oh Paula, I am so glad I found your site! Thank you for the hug. Nope, it sure isn’t easy. In my 40’s, I’m just starting to realize that rainforest minds run in my family – my Dad, my younger brother, myself, and now my 12 yr old son – all smart, intense, and complex to understand. My big concern now is my son who has been struggling in the traditional school setting. Anytime he is in a class with kids his own age, he can’t seem to function – he becomes disruptive, class clown, can’t focus (although maintains good grades). Throw in authoritarian methods of dealing with him from the teacher, and he becomes defiant, too. However, put him in a group of older kids with a faster pace and greater challenge and expectation and he is “on” – a completely different kid. We have seen this time and time again – both in and out of school. Unfortunately, teachers only see his inability to function with kids his own age and say there’s no way he is mature enough to handle being with older kids. My question is: Is this kind of inability to function in a “poor fit” environment common with G/T and possibly G/T 2e kids? My gut is telling me I’m not off my rocker, but there are days when I hear about his behavior at school (which is almost daily these days 😦 ) and think I’m seriously missing something. I would love and appreciate to hear from you as well as any of your readers on this issue! P.S. I can’t wait to read your book!! These types of worries are coming to the forefront because of a decision to start homeschooling our gifted children next school season. Only one of my kids seems fit in with the “average” kids even though she is a fabulous artist. My others are bored in school, get perfect scores on everything, which is nice, but this just signals to me that she is not being challenged. The one who just finished kindergarten told me she needs to be homeschooled next year because the other kids misbehave too much and she finds it annoying and distracting. Yes, really, Myself being HSP with a mind that is alternating between freaking out at being enough of a teacher for her children (even though I’m actually certified to teach in our state, gave it up because it made me cry, the system is dysfunctional) to thinking I’m going to go insane and when will I get quiet time?? Breathe, oh and read Paula’s book. thanks for writing it! I just found your site, hoping to find some good information to help me deal with my three highly intense children. It has been a struggle. I had never heard about giftedness or intensity until my oldest went to public school; he had always been a hard child with lots of thoughts and emotions. As I have studied over the years I have realized that I also am gifted with intensities. I once was decussing with our family doctor that I was having a hard time and that I had reason to believe that all three of my children were gifted and his reply to me was yes they are and he was glad it was me and not him , then he left the room. I have been dealing on my own for some time and am at a point where I don’t know how to help them with the extreme feelings they are dealing with. My oldest is now 16 and there are times when I feel like I am talking to a 3 year old. Thank you so much I look forward to reading more great info on your site. Glad to have you here, Katherine. Most of what I write is about adults, so you’ll find more here for yourself than your kids. But there are many more resources for parents. You can start with http://www.sengifted.org or http://www.hoagiesgifted.org. Of course, as you learn about yourself, your children will benefit! Thanks for sharing.